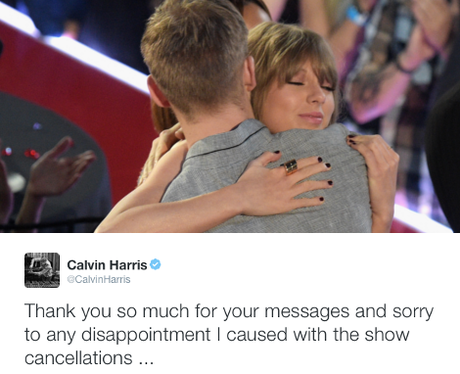 Calvin Harris breaks his silence after his serious car accident last weekend. 4. Calvin Harris breaks his silence after his serious car accident last weekend. The DJ has finally taken to Twitter to thank his fans for their messages and to apologise for having to cancel the shows. Don't apologise, Calv - just get better soon!